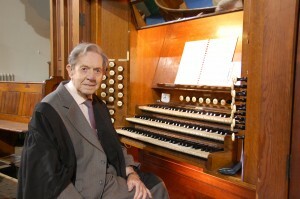 John Ross was St. George's Organist for 65 years. John became the organist and choirmaster at St. George's Congregational Church in 1946, when he returned from war service with the Royal Navy. This was originally for a three month trial period - which was never officially ratified, to become a permanent position. 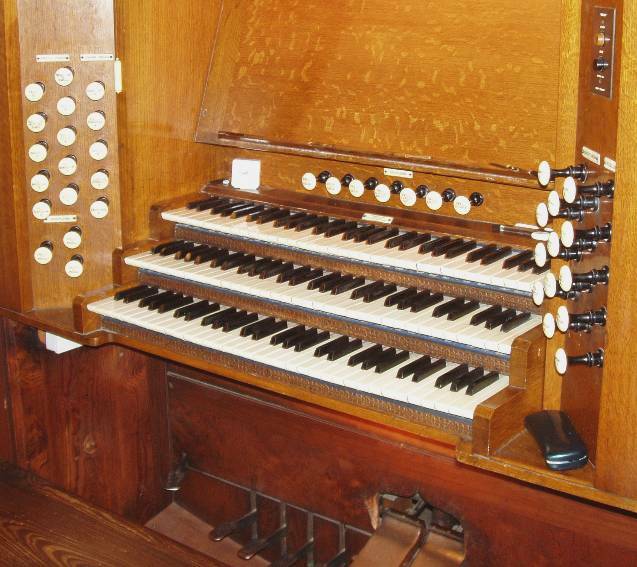 John cared for the organ diligently during his time as organist, ensuring that it was maintained in proper order. This included having the parts which required electrification installed, some years ago. 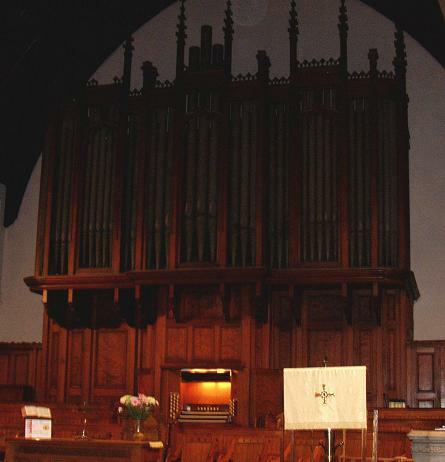 All the organ pipes were removed when the church was closed for renovation, to ensure that there was minimum risk of damage, due to workmen. John took his duties very seriously, and always arranged someone to deputise for him whenever he was unable to play. We celebrated and recognised John's long service during worship on Sunday 27th November 2011. Sadly, John Ross died in 2014. 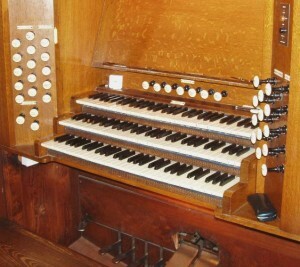 We are now served by Mr Peter Walker and Mr Frank Whittacker as well as visiting organists. The organ has undergone a major overall during May, and the church was closed during that period. Our congregation worshiped with Grange Road Methodist Church whilst this was completed. The concert will be followed by supper.